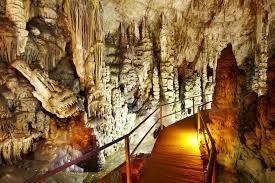 Cuevas del Canelobres The magnificent Caves of Canelobre are said to be Spain’s largest and deepest cave system. It is open all year, doesn't close for siesta and can only be visited as part of a guided tour – remember to take warm clothes as it is cold inside! The views from the entrance are simply stunning, and there is a small picnic area so you can admire the vistas whilst enjoying your sandwiches and waiting for the next tour to begin. The caves were formed many millions of years ago, but they are still slowly changing at a rate of just 1cm every 100 years! 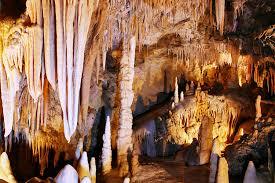 The stalactites and stalagmites are continuously growing and aided by the clever lighting take on the shapes and forms of all sorts of animals as well as giving the caves a cathedral like feel. 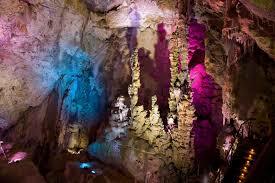 The main attraction is the candelabra formation, from which the caves have taken their name.